This is one of the surprise lilies blooming in our yard. I don’t even remember planting them, but they recently popped up in front of my office window, randomly spaced in our west bank, and along the driveway. 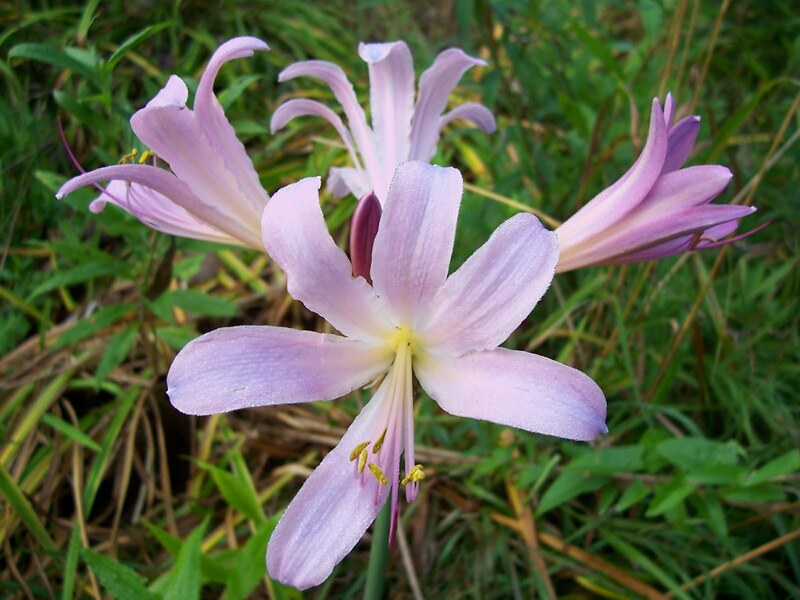 They’re called surprise lilies because one doesn’t notice the leaves early in the spring, which wilt and disappear. Several weeks later, the long stem shoots out of the ground and the blossoms appear. These blossoms are the only current color in our weedy west bank and the weedy ravine along our driveway. While I was taking pictures this morning, I thought about how their sudden appearance is a lot like God’s grace in our lives. We see nothing but the weeds of struggles and trials, but suddenly a blossom of grace bursts into bloom. Interestingly, one of the many names for this lily (Lycoris) is resurrection lily. That seems an appropriate name for a flower that so beautifully demonstrates God’s grace.